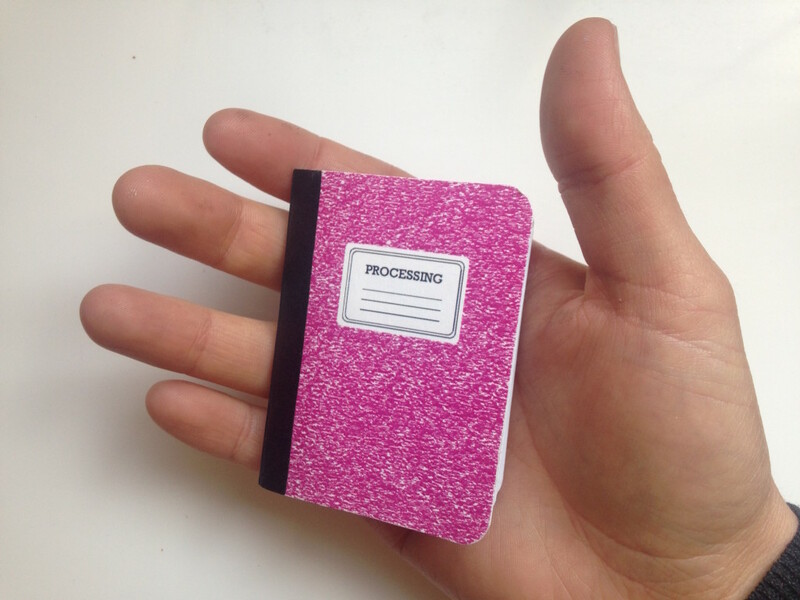 Here’s a wee reference book for Processing, with half blank pages to write in your own things-to-remember. 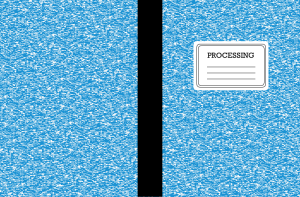 The cover is a procedurally generated composition book (written in Processing, of course!) Link to download here. To make one, print double sided on one letter sized sheet of paper, cut out doubled pages along lines, stack and fold all in half, staple or sew at fold. Code for the procedural cover is here. I’ll post some downloadable ones as soon as I fix the print size! 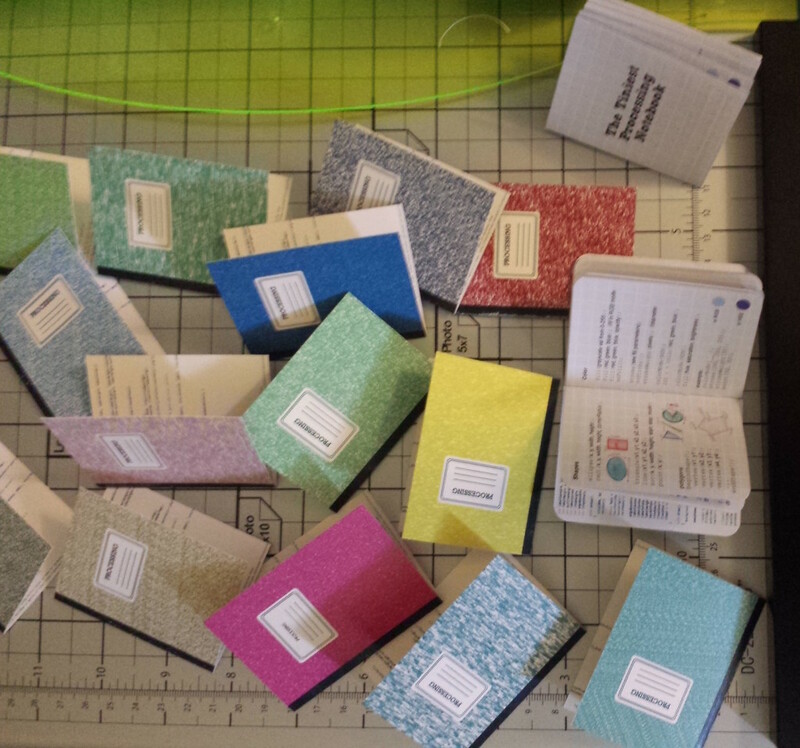 Hello, I’d like to request a “Processing Book”!